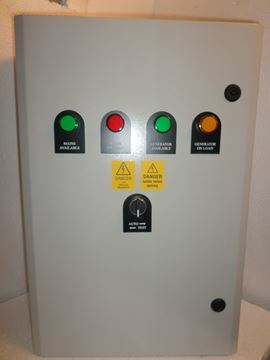 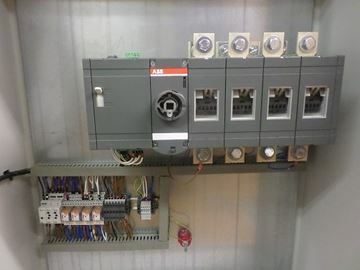 Motorised switch's with centre off position, to enable automatic selection of 2 different supplies; most commonly a mains supply and a back-up generator supply. 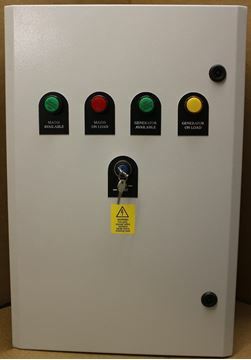 Utilising the range of switches from the ABB range, these are equipped with motor operators, and are programmable, electronic control delay timers for both supplies, and provide signalling to stand-by supply or generator, as required. 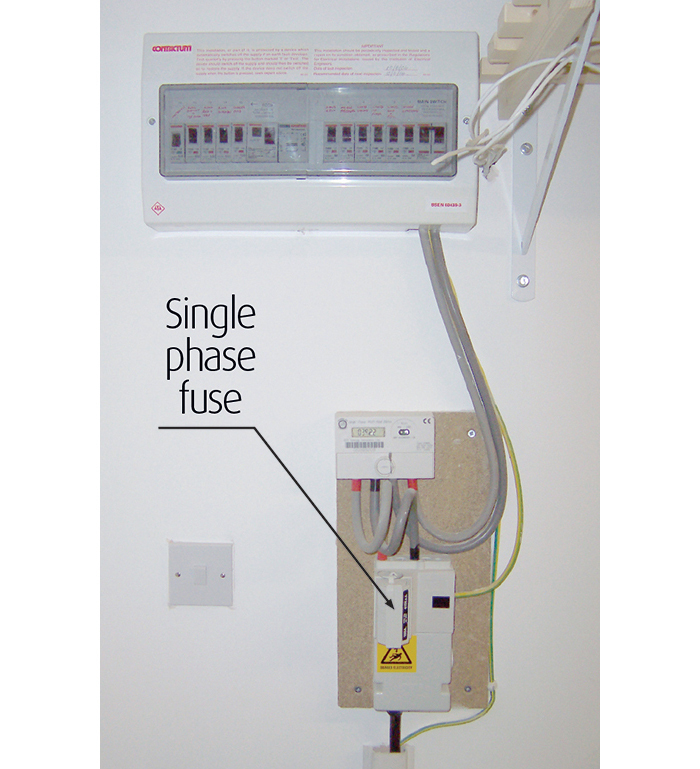 You can also use this system as a manual transfer switch. 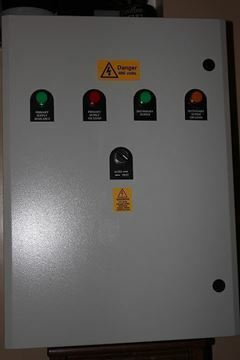 This generator switchgear prompts the generator to start up when utility power fails, and makes the switch within a timeframe of 30 seconds. 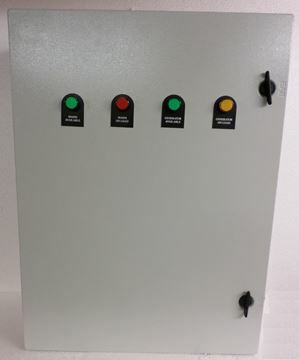 The MTS panel on this generator changeover switchgear also monitors the stability of utility power before reverting the load. 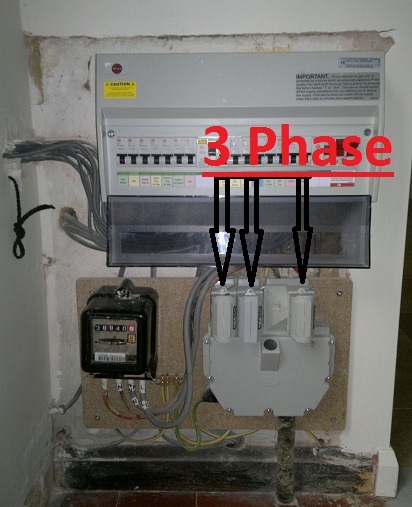 However, this happens only after a 20 second delay, post mains restoration; which also signals the generator switchgear to kill the generator. 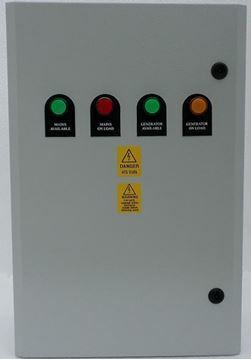 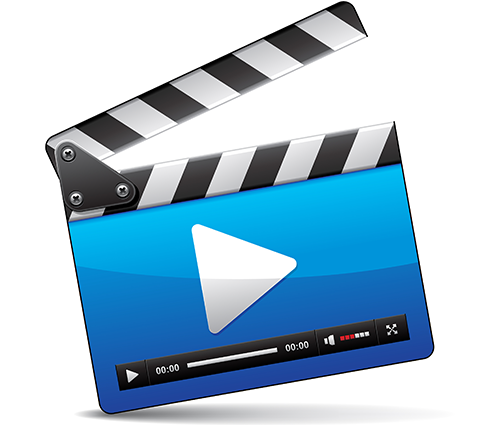 If you have any questions or bespoke requirements please call one of our sales team (contact) or email us at.